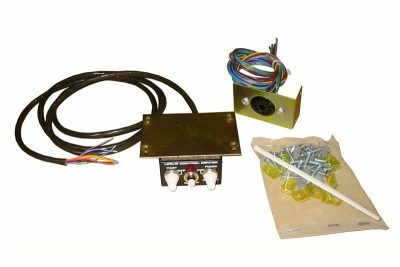 This kit provides an 11 pin Leslie outlet on Hammond Organ models B2, C2, B3, C3, RT, RT2, and RT3, and connects to Leslie speaker models 315, 415, 422, 715, 716, 722, 723, 771, 815, 822, and 122XB. Included in this kit is a Rotary/Main/Mix and Tremolo/Chorale switch. We recommend that a factory-trained technician install this accessory.